What a rabbit hole. After fifty freaking years, how can there not be a great fatigue with the Kennedy Assassination? Why can’t people be knocked sensible and believe what the government says, well, at least some of the government, back the Warren Commission and put forward the conspiracy-free story of the assassination of John Kennedy? Sometimes we come across material that seems almost too strange to accept as true, but in the end is too well-sourced to reject. In Jim DiEugenio and Lisa Pease’s The Assassinations (now available on Kindle), researcher John Armstrong contributes two remarkable articles on the Double known to you as Lee Harvey Oswald. 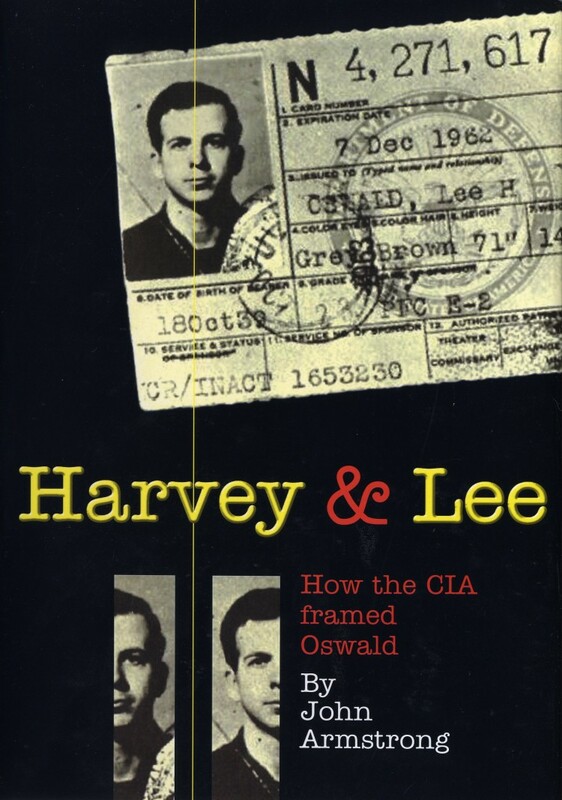 Armstrong’s thousand page masterpiece, Harvey & Lee: How the CIA Framed Oswald, has first-hand and remarkable information that you cannot find elsewhere. It proves to me the existence of two intelligence agents that went by the name, or variants of the name, Lee Harvey Oswald. Two different but similar people merged into one single fictional person through split-face composite photos. It’s the damndest thing. Even Norman Mailer couldn’t have invented it. Though Harvey & Lee now sells for $200 a copy or more, Baylor University has Armstrong’s research material available for your online viewing: HERE. Perhaps you’re thinking, like I was, this is too complex. These ideas betray Occam’s Razor. Well, do Intelligence Agencies and Counterintelligence follow this law? Just read Wikipedia’s entry on Counterintelligence, and let me know how simple counterintelligence sounds to you. As some Feral House readers know, we’ve published James Shelby Downard’s take on the Kennedy Assassination and American Freemasonry. Some of this can be seen in Ritual America. We also published Downard’s memoir, Carnivals of Life and Death. Most people find his concepts difficult to believe, Feral House author Richard Spence (Trust No One, Secret Agent 666) did a great deal of illuminating background research on Shelby’s claims, and THIS just appeared in Skylaire Alfvegren’s LOWFI Fortean journal. Yes, friends, we’re deep inside this rabbit hole!